Health & Fitness $49.00 No App Store 2018-06-23 TappyTaps s.r.o. Health & Fitness $49.00 No TappyTaps s.r.o. Are you interested in what you eat? 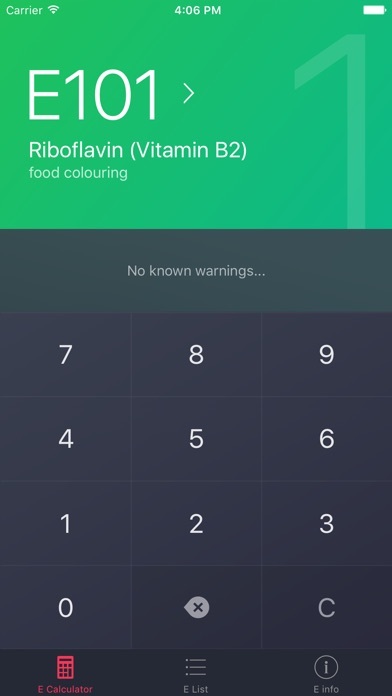 First food additives (E Numbers) checking app prepared with the focus on usage during shopping! 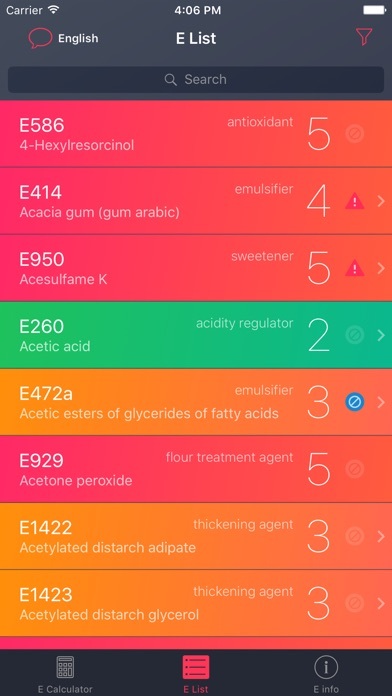 Food Additives Checker is a quick and easy-to-use assistant, which will help you to identify “which food additive is which”, whenever you go shopping. 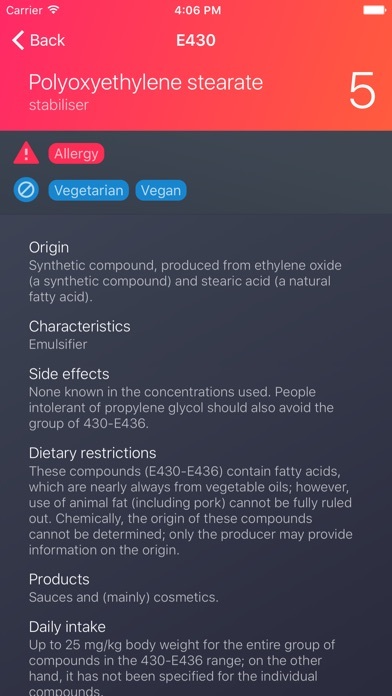 With more than 500 food additives in the database, you can easily make a knowledgeable decision what to eat and buy. 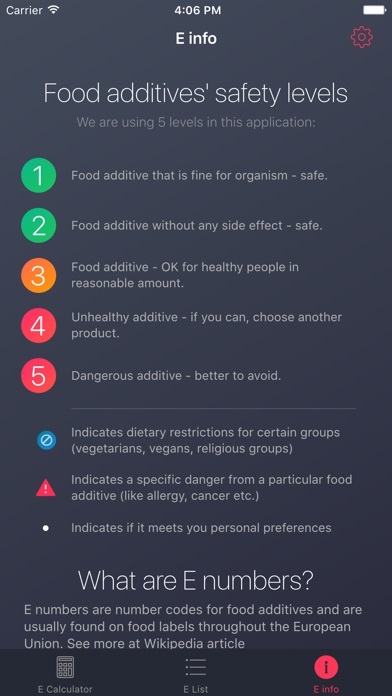 Features: * comprehensive list of more than 500 food additives * detailed information including origin, characteristic, dietary restrictions, description of side effects and daily intake available for most of the food additives * color coded list by danger level (green= safe, orange=be careful, red=dangerous) * quick and easy-to-use search by E-number or name of food additive * easy-to-understand system of alerting on your preset dietary restrictions or danger * list can be sorted by alphabet, E Number, category and danger level * 7 different language localizations for food additives names (especially useful when you are abroad and want to check the additives written in foreign language) * no internet connection required Food additives are substances being used for centuries to enhance the appearance and flavor of the food and prolong the shelf life. 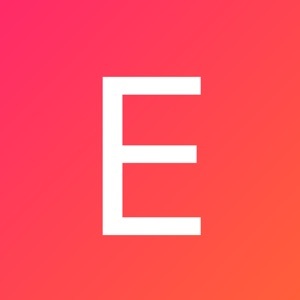 E Numbers are codes used for these substances in the European Union, Australia, and some other countries. Some of the food additives are safe, but some can be very dangerous and cause side effects, allergic reactions or hyperactivity of your child. 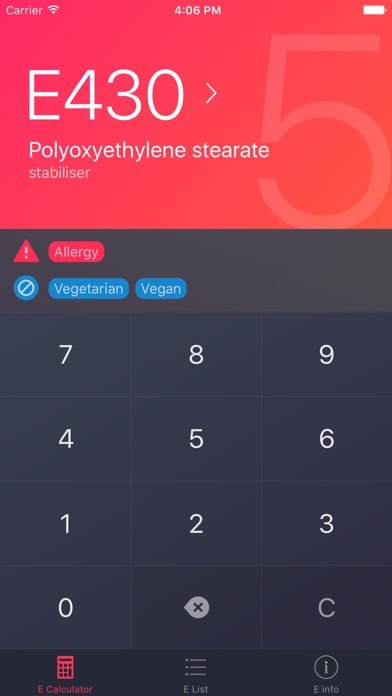 Indicators for following dietary restrictions: * vegetarian * vegan * Muslim​ * Jew Indicators for following health hazards: * cancer * hyperactivity * allergy * asthma * not good for child E Numbers Calc is regularly updated several times a year to make sure you always have up to date food additives database.